An Education– I’d expect that a film about a young girl in 1962 who’s so infatuated with the life of the Parisian intellectual (jazz, cigarettes, New Wave movies) that she dates an older man to have at least a sense of why that Parisian lifestyle is so interesting. Or a sense that the guy she’s dating as cool or exciting or smart or dangerous or something. But everything in this movie is tame: the affair is about as passionless as it can get, even for the English; the guy is pretty boring – more traveling salesman than transgressive cad; and the film itself is written and shot so tastefully as to be pretty much inert. The actors are good though: Carey Mulligan doing that clever waif thing that’s worked for actresses from Audrey Hepburn to Natalie Portman, Olivia Williams and Emma Thompson as teachers who for some reason can’t explain why they like teaching (it’d be inconvenient for the plot or something, I guess), and Alfred Molina as the father. He gets the best scene in the film: his little speech near the end. It’s the only really moving thing in the whole film. College – Possibly my least favorite Buster Keaton feature. I’m actually liking The Freshman more in comparison. Keaton plays a geek who goes to college and decides the girl he loves want him to be an athlete. The film then plays as Keaton tries (and fails) to play various sports: baseball (with one of my favorite players, HOFer Wahoo Sam Crawford in his only film role), track and field, rowing. It’s much funnier than the Lloyd film, of course, as Keaton’s just a better physical comedian. But it has none of the emotional depth that Lloyd, despite the fact that I was so bored with most of his film, managed to create. The #7 film of 1927. Dragon Inn – The third King Hu kung fu film I’ve seen, and it’s somewhere in-between the other two ambition-wise. Come Drink With Me, while pretty great for the first two-thirds, was marred by an imposed ending from the Shaw Brothers, with cheap and rather silly special effects. A Touch of Zen, on the other hand, is a vast epic, something that’s aspiring to be the Seven Samurai of the kung fu genre (and comes very close to succeeding). This one isn’t quite that ambitious, and more successfully maintains its tone through the entire film. The plot is an archetypal one: good guys and bad guys converge at a remote location, beat each other up. The action is pretty much perfect, a difficult task without any performers as virtuosic as Gordon Liu or Jackie Chan, but one Hu manages through framing and perfectly-timed editing. The #5 film of 1967. 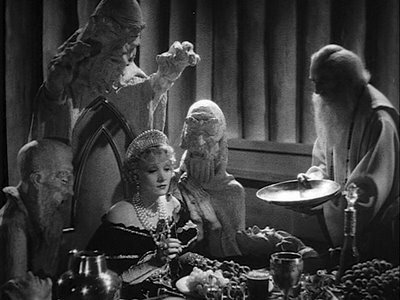 The Scarlet Empress – The fifth collaboration between Josef von Sternberg and Marlene Dietrich I’ve seen, and it might be the craziest and the most fun. Dietrich plays the young Catherine the Great, in her rise to Tsarinadom. The early plot, in fact, is suspiciously like that of Sofia Coppola’s Marie Antoinette. Dietrich plays a young German girl brought to Russia to marry the heir to the throne, who is, of course, a lunatic. She freaks out, learns to scheme and manipulate and eventually stages a coup that puts her in power (with the help of the army, large parts of the command of which she appears to have slept with). Dietrich’s pretty funny working against type as the innocent waif in the beginning, and of course she owns the double entendres at the end. The best thing about the film though is the set design: the Kremlin as a kind of Gothic horror show with oversized statues of demons and agonized saints everywhere: walls, bannisters, tabletops, as chairs, etc. The #5 film of 1934. Madame Bovary – Vincente Minnelli’s version of of the Flaubert classic is told with a weird framing device. Flaubert is on trial for writing the book (corruption of public morals, in that it expects us to sympathize with the greedy adulterous title character) and as a defense tells the story of the novel. Thus we have the author (in the form of James Mason, of all people) narrating the action as if it were a kind of argument: the story exists to make us feel sympathy for Emma Bovary. It reduces the novel from one of romance and melodrama to one of social argument, which is far less interesting. Anyway, jennifer Jones plays Emma and is pretty good (she looks like a softer, rounder Vivien Leigh). The standout sequence, one of the very best of Minnelli’s career is the ball sequence. I’ve never seen a 19th century dance filmed with such speed, both with the dancers and the camera (when it follows the spinning waltzers). It’s a breathtaking sequence, and when the windows are smashed open to let in some air, you’re glad for it as well. The #13 film of 1949. 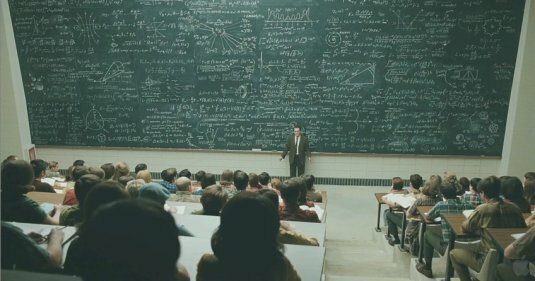 A Serious Man – I finally managed to see this, the new Coen Brothers film. It’s very much of a piece with their Barton Fink, both revolving around protagonists that don’t understand what’s happening around them mostly because they just don’t listen. Michael Stuhlbarg is quite good as Larry Gopnick, a physics professor (Schrödinger’s cat & the Uncertainly Principle, of course) who learns his wife wants a divorce, he might not get tenure, he’s being sued for accusing a student of trying to bribe him. And that’s just the first act. More disasters await Larry as he desperately tries to find answers to why all these things are happening to him. He makes several trips to several rabbis, all of whom give him the same, essential existential answer: we don’t know, try to enjoy life and be a nice person. That’s not enough for Larry, he needs to know: what is God’s plan, do actions have consequences? The film exists in an in-between state in whether we’re supposed to believe the actions we see are random or determined by God; like Schrödinger’s cat, both possibilities are true for the duration of the film. Until, that is, Larry makes a choice. Then all the possibilities collapse into one, and it doesn’t appear to be a happy one. Party Girl – A really solid gangster melodrama from director Nicholas Ray. Cyd Charisse plays a titular showgirl who falls for Robert Taylor’s crippled mob lawyer (he makes his living defending Prohibition Era hoods in the employ of Lee J. Cobb in 1920s Chicago). They help each other become better people, which inevitably puts them in conflict with the gangsters. Shootouts and nobility ensue (including a montage of whackings that must have inspired Coppola’s [i]The Godfather[/i] in some way). This being a 50s melodrama, there’s even the obligatory miracle surgery. Charisse gets a couple of great musical numbers (just dancing), though they’re marred by some terrible outfits, by the end, she completely wins you over (and not just with her legs, despite Ray’s impressive singularity of focus on them). Above all, the film is notable as yet another Ray film with deeply drawn, very damaged characters struggling against life, despite all the generic clutter than threatens to take over: that powerful emotional undercurrent keeps things (like Lee J. Cobb) from degenerating into farce). The #10 film of 1958. 24 City – The latest (available) feature from Jia Zhangke is the story of a factory closing in the industrial town of Chengdu. It’s told through a series of nine interviews, five of which are actual people telling their story, four are actors telling composite stories compiled from among the 130+ people Jia interviewed for the project. The conceit is made clear from the opening credits, which cite famous actresses Joan Chen and Zhao Tao. 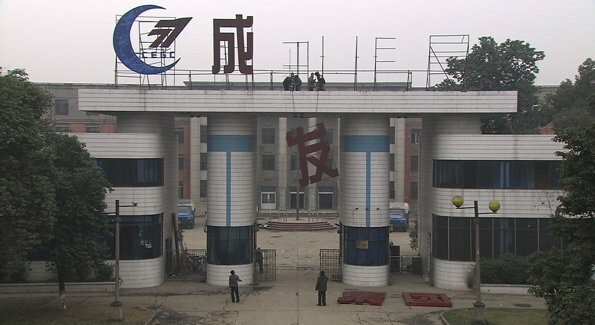 Far from feeling dishonest, however, the act is consistent with the way Jia’s latest films have mixed reality and unreality (The World‘s animated interludes and surreal setting; Still Life‘s alien artifacts imbuing a desolate, dismantled town with enough humor and romance to keep things from getting to boring or depressing). The film is shot digitally, with lovely slow pans over the factory (the last workers at work, things been torn down and taken apart, workers leaving the factory in what is probably a Lumière homage). The version I saw on the Instant Netflix and a weird ripple in the image every time the camera panned. I don’t think that was intentional. The #4 film of 2008. 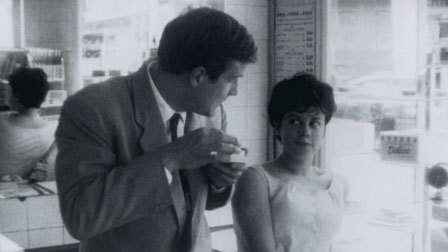 The Bakery Girl of Monceau – The first of Eric Rohmer’s Six Moral Tales is a short film about a law student (future director Barbet Schroeder, with voiceover narration by future director Bertrand Tavernier) who sees a pretty woman walk by every day, over-thinks a plan to ask her out, and ends up buying cookies every day waiting to run into the girl again. He flirts with the bakery girl (for various potential reasons) and drops her when the first girl returns. It definitely feels like there’s more of a movie in this story, something that could have run for 90 instead of 23 minutes. On the other hand, it’s pretty much perfect as it is. Schroeder’s attention to habit, his circular, obsessive logic and ultimate callousness feels very true to life. The #11 film of 1963. Completely agree on An Education. And I didn't notice the ripple thing you mention on the version of 24 City that I watched (not netflix instant). Yeah, I'm sure it was just a bad stream from Netflix. I really don't get all the love around An Education.